On Thursday, January 25, 2018, Sindo Media awarded PT. Toyota Motor Manufacturing Indonesia (TMMIN) at the awarding night event of CSR Appreciation 2017 at Hotel Aryaduta, Jakarta. 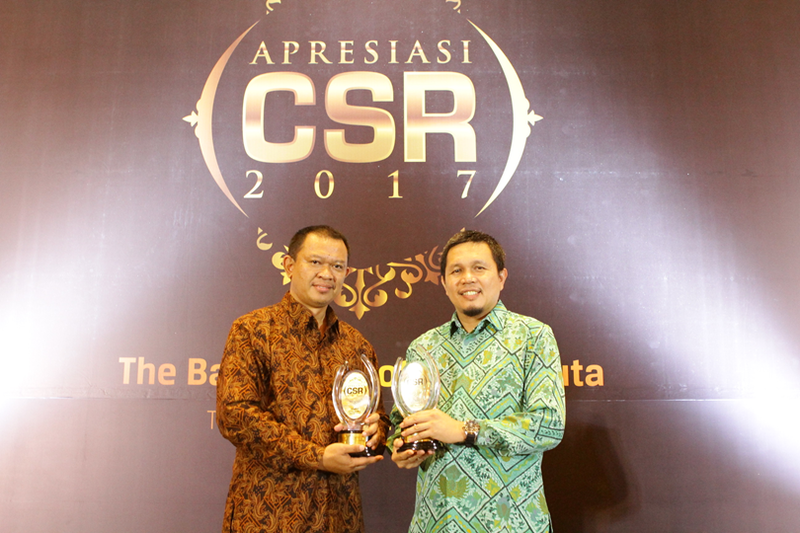 CSR Apreciation 2017 is organized by SINDO Media to reward 27 companies that are active in running Corporate Social Responsibility (CSR) with various categories such as environment, education, health, culture, community empowerment, economic empowerment, village empowerment, sport and communication innovation CSR. Toyota Indonesia was awarded the CSR Appreciation Award in the field of environment and education provided by MNC Group Chairman Hary Tanoesoedibjo with the Minister of Village and Development of Disadvantaged Regions Eko Putro Sandjojo and the Minister of Cooperatives and Small Medium Enterprises Anak Agung Gede Ngurah Puspayoga to Division Head of Plant Engineering & SHE TMMIN, Mr Frasiskus Sales S. and representatives of TMMIN Corporate Social Responsibility, Mr. Jufri Anthony. The CSR award given by Sindo Media in environmental category to TMMIN mainly because it has produced 128,000 hard trees, 1,300,000 mangroves and 18,000 rare plant cultivation in 2017 through the Toyota Forest program which is a company policy whereby every one car that is produced will be planted one trees and educational categories for donation of educational aids to several universities and vocational schools throughout Indonesia. In his speech at the CSR Appreciation Night, SINDO Weekly Chief Editor, Nevy Hetharia expects that companies that has been given CSR award from Sindo Media can be a trigger to a further company quality improvement and give impact to the nation and society through CSR activities.